Petite pop star Ariana Grande has announced Philippines to be one of the Southeast Asia countries included in her “Dangerous Woman Tour”. Promoter Music Management International (MMI Live) has revealed that the “Side to Side” singer will be performing at the Mall of Asia Arena on 21 August 2017. 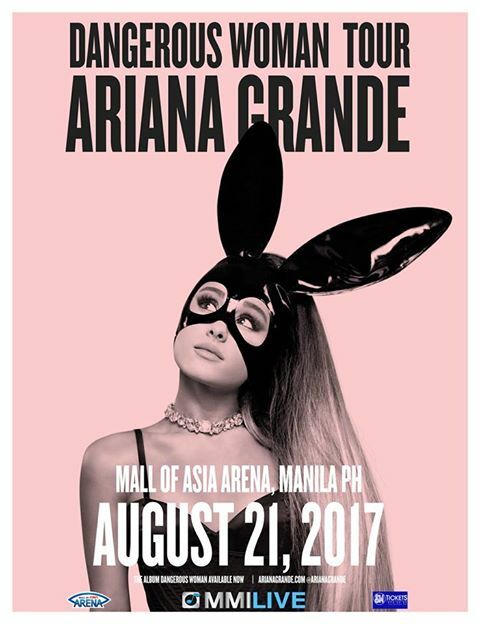 This will be the second time the 23-year-old singer performed in Manila; the first one was in 2015 for “The Honeymoon Tour”. Apart from Philippines, Ariana will also stop by Singapore for this year’s Formula 1 Singapore Grand Prix, alongside Duran Duran, OneRepublic and The Chainsmokers. Other Asian cities include Taipei and Tokyo.